Today’s piece is written by a special contributor. Heather Denkmire doesn’t describe herself as an accomplice or an ally, and she’s certainly not “woke.” She’s just a woman whose spiritual and physical health depends on daily work on racism in herself and in the wider world. 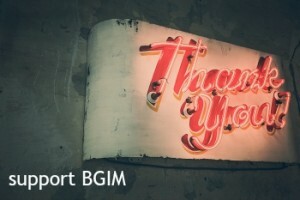 As a writer https://serenebabe.net/writing-credits/ and a person in long-term recovery from alcoholism, she has found that sharing her life experiences can sometimes benefit others; she’s grateful for the opportunity to share some of those experiences here on BGIM. When my daughter was little, I wanted her to live a life that was more diverse and inclusive than my own childhood had been. But, how could I do that? I knew simple exposure, ideally leading to communication and relationships, to people who came from different backgrounds was essential. But, again, how could I do that? A major problem I faced, and I know it’s a problem a lot of my white peers face, is that I didn’t know anyone who wasn’t white. I considered joining some parenting groups for families who had children of color. But, joining a group just so my daughter to “experience” difference? That felt gross. I’m sharing this story because I want to draw attention to the fact that addressing racism is always a choice for me. And while I have always thought it was vitally important, dismantling racism has never been a matter of life or death in any overt way like it is for people of color. While I think I did and do an okay job keeping anti-racism themes present in the lives of my daughters, in the last few years I’ve become more aware of how urgent this work is for me. The truth about racism is that it had been killing me, too, if only on a spiritual level. The urgency (to participate in the work of reinventing our economic and social structures on a basis of justice and equity) came only after I realized how sick I’ve been, how much hurt and pain I was carrying. At that point, I began relating to whiteness as an addiction, a spiritual disease. When I did that, I was able to use spiritual tools to address the psychic damage that I had denied in me for so long. Let me be clear, I’m not talking about the sincere and genuine sadness we white people can feel as empathetic human beings when we consider the ugliness of racism. I’m not talking about the “white women’s tears” that are so tiresome for people of color. I think there’s a time and a place for expressing those feelings (with other white people), but how we feel about racism isn’t the point (it’s not helpful or even necessary). What matters, I’ve found, is my willingness to see the truth—the real, ugly, horrifying truth—about my own racism. Of the white people I know (and that’s most people I know), being “not racist” is an important value. As I read Shay’s piece about the response to the article she shared, I was reminded of how many of my white peers believe strongly they are not racist. And, while I’ve known since the ‘80s that I am racist—I’m a white person who benefits from our country’s racist structures, a country that only exists because of the historical and continued decimation of Black and brown bodies—I only recently recognized how deeply my need for whiteness runs. It’s truly an addiction that I must address everyday so I can live an authentic spiritual life. I need to address the wounds inside myself—caused by my dependence on whiteness—before I can be of any real use in the world of anti-racism work. If you are a white person who wants to be not-racist, whether you think you are racist now or not, in this space and with gratitude, I will share with you my experience understanding my own complicity in racism. I will share with you what I did, and continue doing, to be a better white person; to heal the wounds racism caused in me that I didn’t even know were festering and keeping me sick. In recovery (from alcoholism), we talk about sharing our “experience, strength, and hope” in an effort to help those who are still suffering. In that light, in future posts I will share my journey with racism in the hopes that my experience might benefit others. I’ll see you nice white ladies at the next Black Lives Matters protest, right? Racial justice IS urgent and I need to help. Shay Stewart-Bouley’s presentation on MLK day in Kennebunk gave me goose bumps. Everyone should hear more, read more and most importantly, DO more for racial justice. Have Shay speak to your group or community right away! You will be energized to do what is right. Not very technologically savvy, so the need to communicate overrides direct relevance to the above article. Just listened to today’s Maine Calling broadcast. Without deep details that would overwhelm the capacity of this comment space, I suggest that a good addition to your research into the roots of Western racism, one I have never heard mentioned by Black commentators, is the work being done by Native scholars, especially that on the Doctrine of Discovery. Lectures are available online. See the series entitled Savage Anxieties by Robert A. Williams, presentations by Stephen Newcomb and Robert Miller, and the Shuswap Nation’s International Seminar on the Doctrine of Discovery. (A caveat…it has been a couple of years since I’ve investigated online offerings on this subject; I see a number of new postings, and have not had opportunity to pursue them.) While for North American indigenous peoples, these studies focus primarily on sovereignty and land, I offer them to you for their articulation of an underlying ethos, an ethos that I believe permitted the slave trade, an ethos which remains operative today. I believe it is at the core of what needs to be addressed to dismantle racism.